What’s the Difference: The Rolex Date vs Datejust? 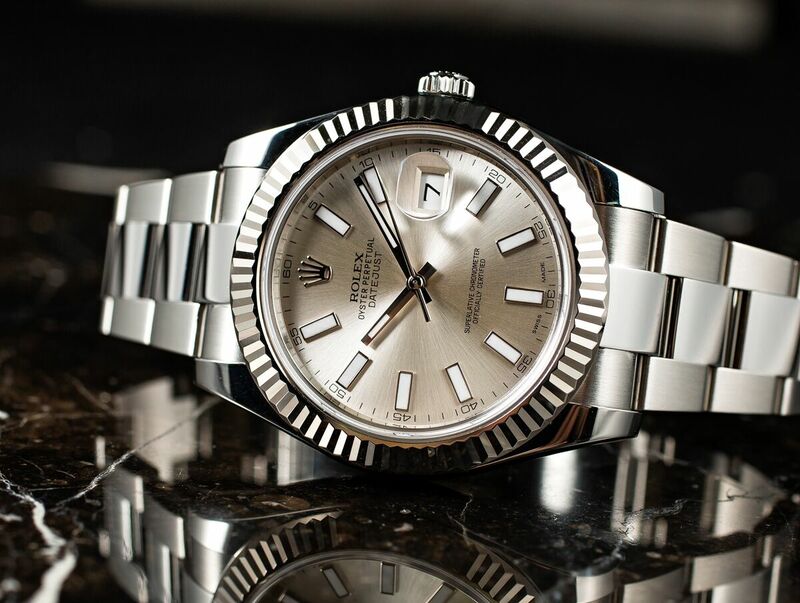 There’s no doubt that the Rolex Datejust is one of the most well-known models in the brand’s lineup. Not only is the Datejust’s history well documented—it was launched in 1945 to commemorate Rolex’s 40th anniversary—but it’s also the bread and butter of the brand, outselling all other models. Conversely, the Rolex Date is oftentimes overshadowed by its more famous sibling and regularly confused with the Datejust. Let’s find out what exactly is the difference between the Rolex Date and the Datejust. 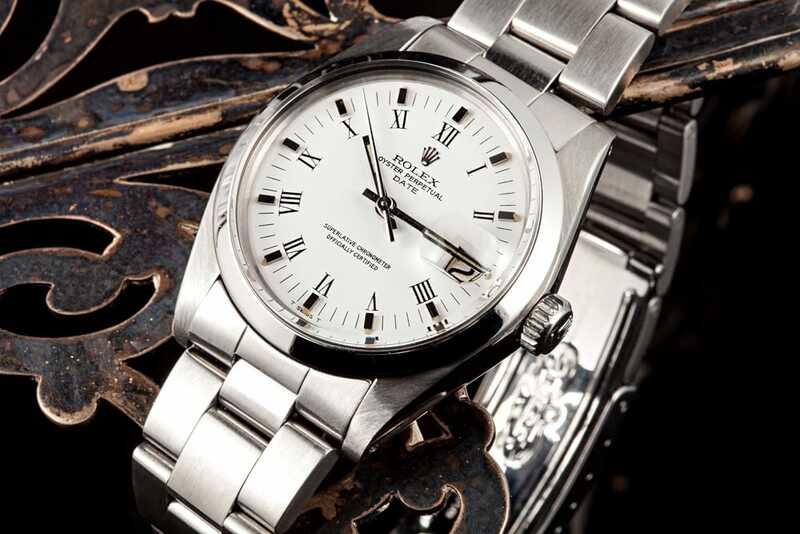 The Rolex Datejust II ref. 116334 is larger than the classic 36mm version of the Datejust. In terms of production, the Rolex Datejust came first, making its debut on Rolex’s 40th anniversary in 1945. The Datejust was the first self-winding chronometer wristwatch to indicate the date on the dial (hence its name) and it was also the first Rolex to be fitted with the now-famous five-piece link Jubilee bracelet. For most of its history, the men’s Datejust was only available with a 36mm case size. , that changed with the introduction of the Datejust II in 2009 and the subsequent Datejust 41 collection in 2016. The 34mm Rolex Date watch was quietly introduced in the mid-1950s as a smaller alternative to the Datejust and has continued to occupy that space since. While vintage versions are offered in a host of different materials, today, the Rolex Date 34 is only available in stainless steel. 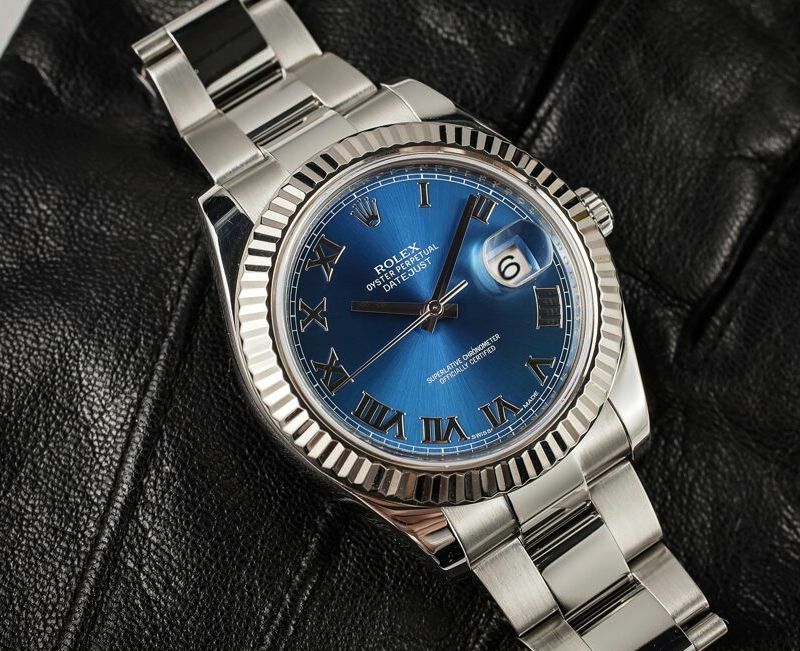 Both the Date and the Datejust watches offer the time and the date functions. The Datejust ref. 160xx family introduced the quickset feature to model. Quickset means that the date is set independently from the center hands, thus eliminating the need to continuously turn the minute hand around the dial to change the number in the date window. Similarly, the Date ref. 150xx family introduced the quickset feature to that collection. While they are closely related, the Date and the Datejust are different watches. Of course, the easiest way to tell the difference is to read the dial to see if it’s marked with DATE or DATEJUST. Regardless of which one you select for yourself, the Rolex Date and the classic Rolex Datejust are fantastic everyday luxury watches that are instantly recognizable as Rolex models.